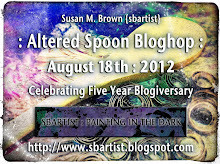 A bloghop is a blast of creativity and sharing! Bloggers from all over the US and abroad will be posting a card and sharing why THEY participate in honoring our nation's heroes. 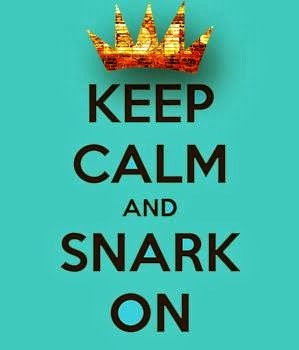 And everyone else gets inspired! If you've landed here in the middle of the hop please click here to begin at the "Top of the Hop". 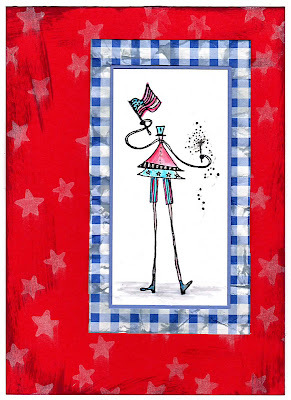 Cards for Heroes is a wonderful organization that supports armed forces serving overseas by sending them blank greeting cards for them to send home to family, as well as cards of gratitude to encourage them. 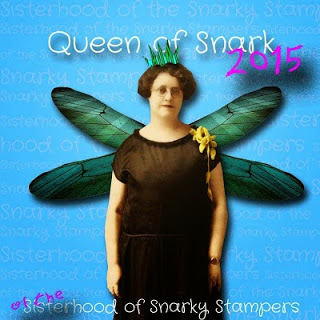 This is my first event I am participating in, and I am inspired by all of the fabulous cards posted along the hop. 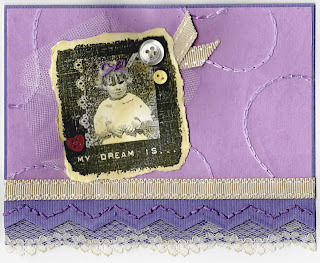 There are lots of beautiful cards and projects, too. On this Memorial Day Weekend - My thoughts and Prayers go out to all Service Men and Women this weekend. 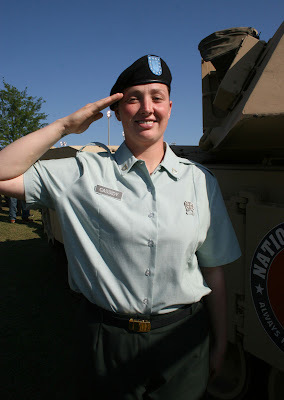 This weekend I will be thinking fondly of my youngest sister, who is currently active in the Army National Guard - and she is training as a Medic for her deployment in September to Afghanistan. Her dream is to one day become a Doctor, and she is thrilled to be able to help others in serving our Country. Here is a photo of my 'little' sister and me from the day of her boot camp graduation at Fort Jackson, S.C. 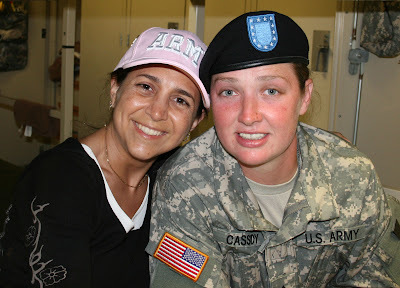 I am so proud of my little sister Andrea Dawn Cassidy, of her courage and her new found dream that she is chasing...Hooah! 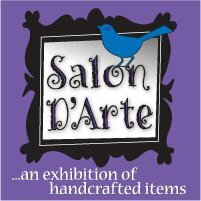 Salon D'Arte...an exhibition of handcrafted items. 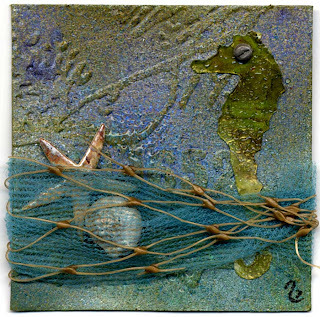 This blogspot is to accompany the SalonDArte Etsy Shop featuring Fine Art : Paper Arts : Cards & Such created by Mixed Media Artist Susan M. Brown. Please take a moment to visit. 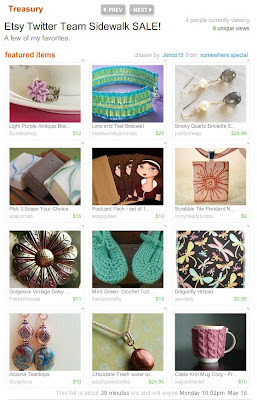 Jenco13 created this wonderful Treasury to promote our upcoming Sidewalk Sale. Go take a look at the shops in the Treasury to get a sneak peek of what you will find during the Sidewalk Sale! 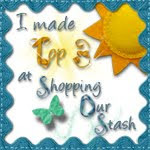 Keep checking back to the Treasury as she intends to switch out spots so all the participating shops can be featured. Etsy Twitter Team Event Coming on Sunday!! 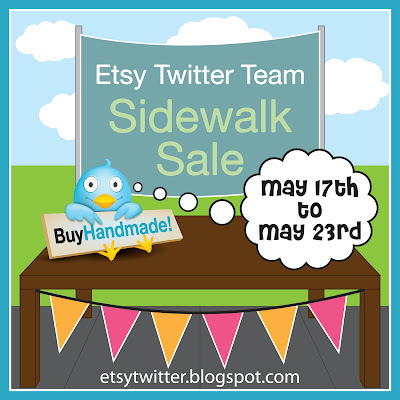 The Etsy Twitter Team is having a Sidewalk Sale coming soon!! The sale will run from Sunday, May 17th to Saturday, May 23rd. 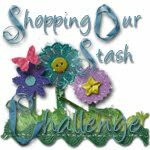 A list of participating shops will be posted to this blog on Sunday!! Please stop by to see what great deals you can get from our team shops! 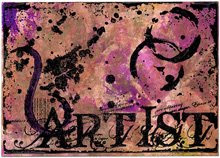 Artist's Choice Card - S.S.U.S. 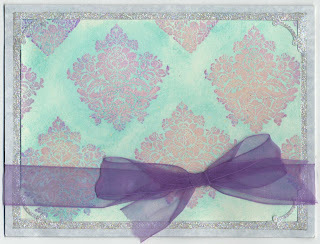 This is one of the cards I made last month for the Stamping 101 workshop I teach at my local SB store. 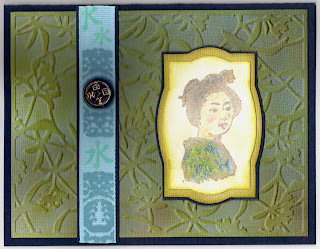 This stamped background is created using a variation of the emboss resist technique. 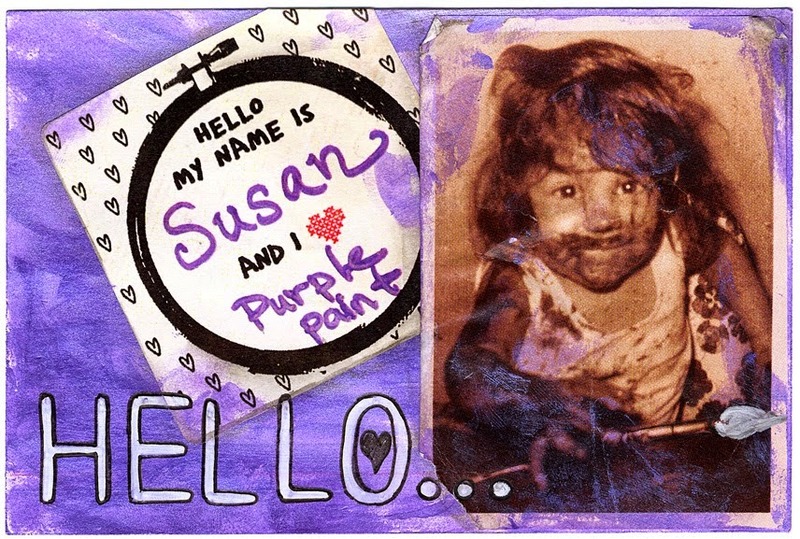 Stamped with a stamp by My Minds Eye on a white background with a purple cat's eye pigment ink, then applied clear EP and repeated many times before using heat gun. Then I applied EK Chalklets with a puff. 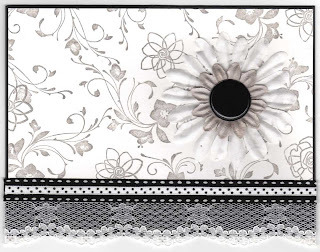 This gives a very soft, subtle look - AND FEEL! 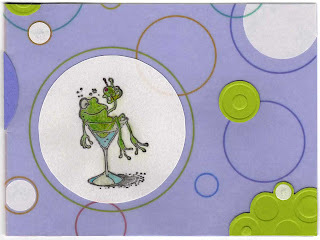 I used a decorative EK slot punch on blank card to inset stamped paper into and added a little Stickle border BLING. 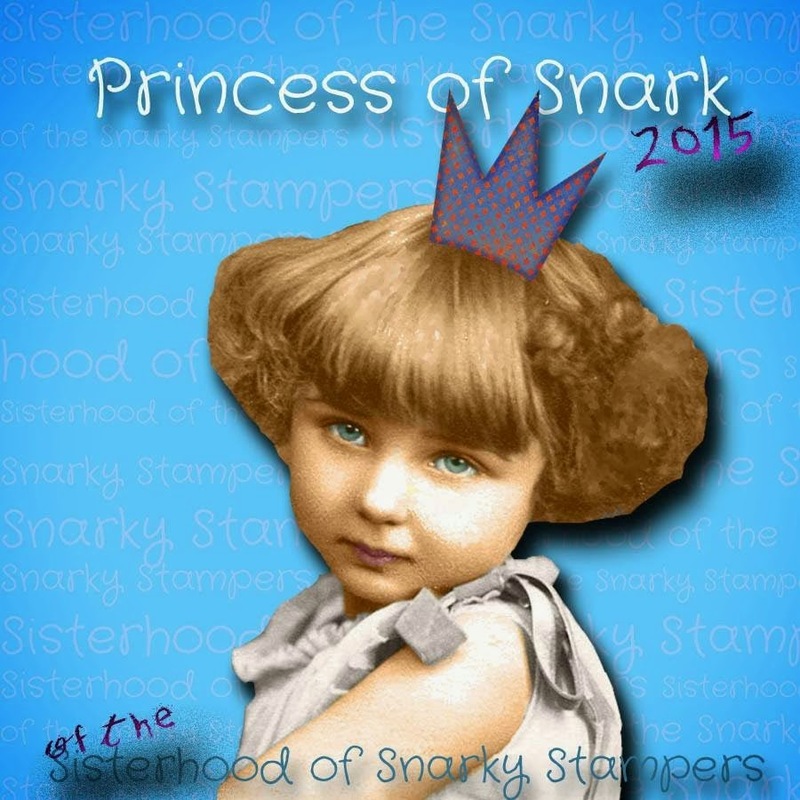 I sent this to Candy for the Artist's Choice Swap for the Snobby Stuck-Up Stamping Group.